"I am satisfied with everything I did [this season], I remained quite steady and reached a new level..."
P.S. You and your brother suddenly appeared in the new Russian skating wave and you are improving year after year, event after event. Are you satisfied with your personal improvements this year? Alexandr. For my brother and me this year was quite hard, very intense, full of trainings and competitions. New hard tricks, no break between events during the whole season and the importance to be in top form all the time. I am satisfied with everything I did, I remained quite steady and reached a new level. P.S. How do you combine your studies and your training? Is it hard to find the time for everything? How often do you usually skate? Alexandr. When I am at the university, I usually train in the evening, after my classes. The intensity of my trainings depends on my studying, I usually skate 3 or 4 times per week for about 2 to 3 hours. P.S. You also work as an instructor. Tell us something about this part of your skating life. Do you have your own coach as well? Alexandr. 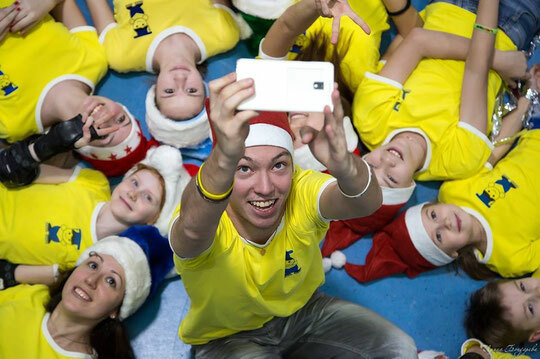 I am a coach for kids. We train on basic skills and slalom. Recently I've started to help our slalom-skaters on technique too. It's quite interesting and useful because explaining an element helps you understand how to do it, and you can come up with drills to build them up. In order to achieve good results in competition, you need a coach, and I do have one too: I train with Vladimir Tkachev. P.S. 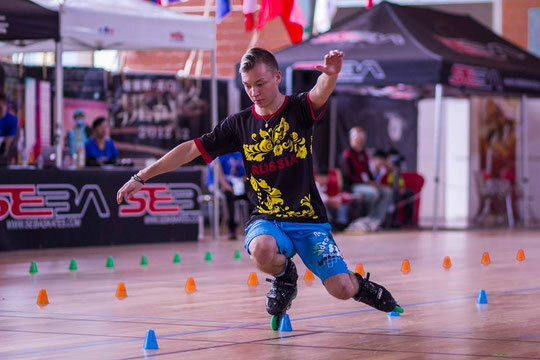 You won the World Slalom Series Award of the "Best Trick of 2014". How much time did you spend on your Superman-trick to succeed it? Do you have a new original trick up your sleeve for 2015? P.S. The most stimulating competition of the year for you? Alexandr. The World Championships in Paris, without hesitation. The high level of the participants showed that there is still a lot of work to do, a lot of tricks to get... There is always something to strive for. 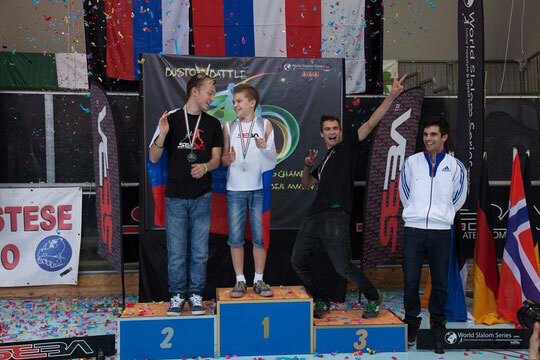 Moreover, it was the first competition where we entered the Pair Freestyle competition together with my brother: For us, it was the beginning of a new discipline to train for. P.S. Did you have regrets this year? Alexandr. I could not go to the PSWC in May. Hopefully, I will finally take part in this competition next year! Alexandr. Reaching the battle finals at the WFSC, creating combos, pleasing the audience with my new classic program and our new pair run with Sergei!